OK, it wasn’t actually the first day of winter, but the temperature hovered around freezing all day, so it felt like a winter day. A fire kept us warm while we busied ourselves with weekend projects and holiday wishes and food. I baked bread. I made a tofu pot pie (you need to try this if you never have–no scoffing from the meat and potatoes crowd). In the afternoon we went for a hike. 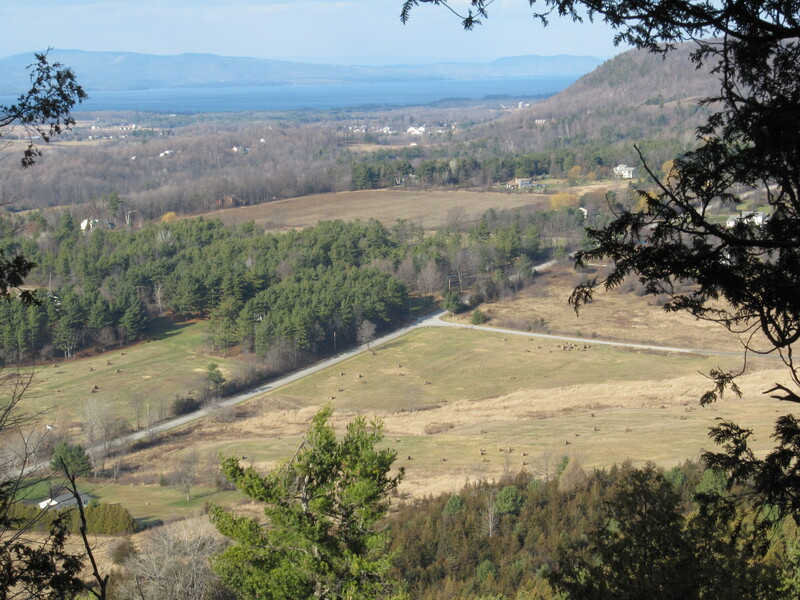 We hiked Mount Philo–easy for the kids, just the right distance. It was cold. We were dressed well but the wind bit. We all had a bit of a chill by the time we got back to the car. There was half an inch of snow on the lofty summit, enough to make it feel like winter really is thinking about hanging out for a while. Looking out over the Champlain Valley and across to New York, it looked like winter. That was the boost I needed to put me in the holiday spirit. It is hard to celebrate the coming of winter when the temperature is 60 degrees. Warm bread on a cold day helps as well. Plus online shopping. Ho ho ho and all that. It will cold in the wee hours tomorrow when I rise for my morning running ritual. Get out there anyway, right? Brr. One more time–brr. Happy winter.